We are delighted to launch our second charity campaign with Barnardos - Ireland’s leading children’s charity who work for and with vulnerable children in Ireland. In Ireland today, 1 in 7 children are lost to issues such as poverty, neglect, domestic violence, homelessness, parental mental health problems or substance abuse. That is over 173,000 children losing out on their childhood. Together we can help transform the lives of children in Ireland through quality community support. Barnardos operate more than 35 family centres in communities around the country, meaning this campaign is supporting the people in need closest to your community. 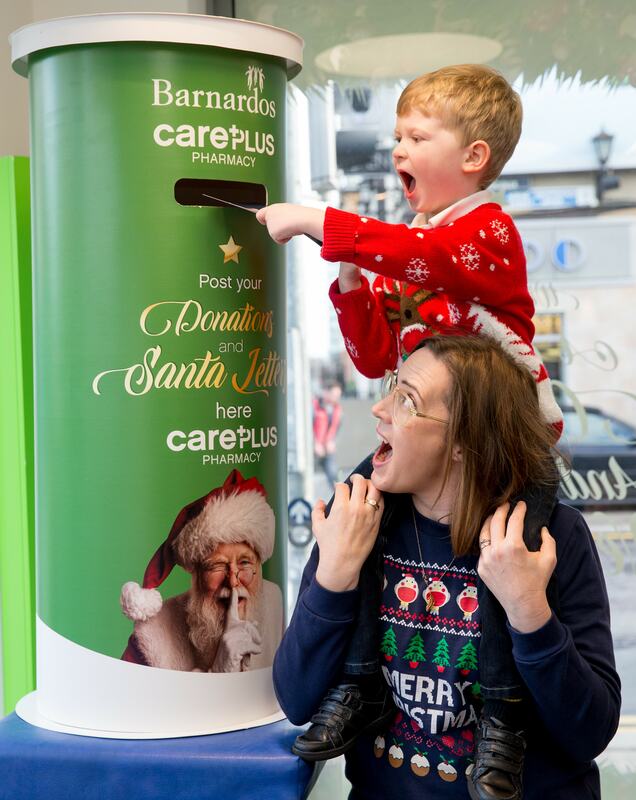 Barnardos is working with many children impacted by homelessness and the housing crisis and CarePlus are aiming to bring a little magic into their lives this Christmas. Barnardos have been helping children in Ireland since 1962, delivering services to more than 15,000 children and families annually and campaigning for the rights of all children in Ireland. Barnardos work in the heart of disadvantaged communities, supporting children and families whose well-being is under threat and who are experiencing some of the highest levels of deprivation, the lowest levels of education and exhibiting a high number of risk factors that impact their everyday life and can determine poor future prospects. Their work is focused on combatting social, educational and economic disadvantage in order to minimise the negative impact on children’s lives through a range of services and programmes. The charity provides a range of specialist services and programmes that alleviate and reduce these risk factors. They work with children in their homes, in schools and in their project centres to improve their development and education while supporting parents in raising happy and healthy children. Barnardos has to raise €7 million+ in voluntary funds annually to help support their services. Their Donors and supporters play an essential role in delivering quality services to thousands of children and families across Ireland each year. The trust these children and families have in the Barnardos organisation and its practices is their priority. This year, CarePlus Pharmacy will raise much needed funds to help the families and children who are most vulnerable in each of our communities, many of those impacted by homelessness. Community is at the heart of everything we do at CarePlus so we are fully committed to supporting this amazing charity. We have committed to raising €25,000 in funds for Barnardos during the month of December. 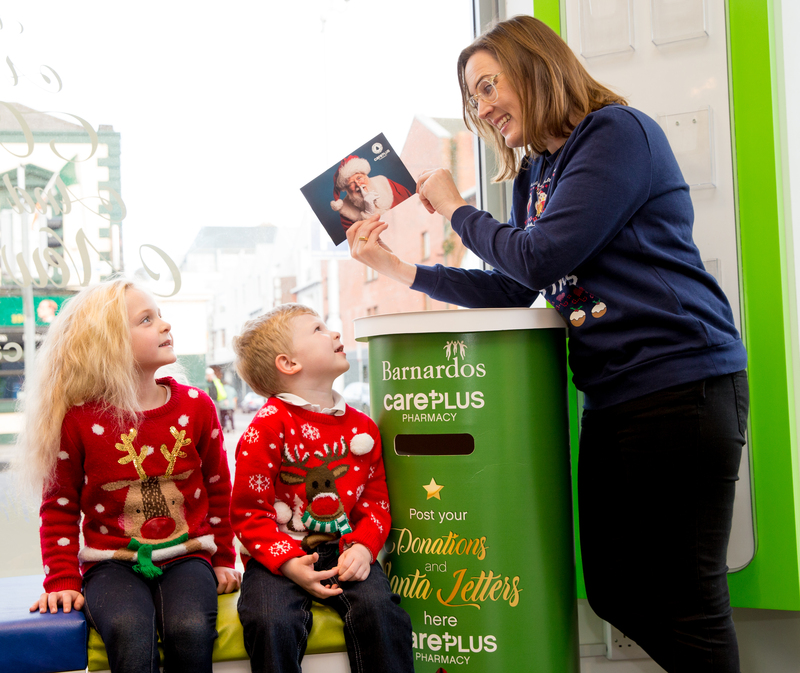 From the 5 December until Christmas Eve, each pharmacy will have a Barnardos Post Box in store. The purpose of the post box is for gift donations and children’s Santa letters. 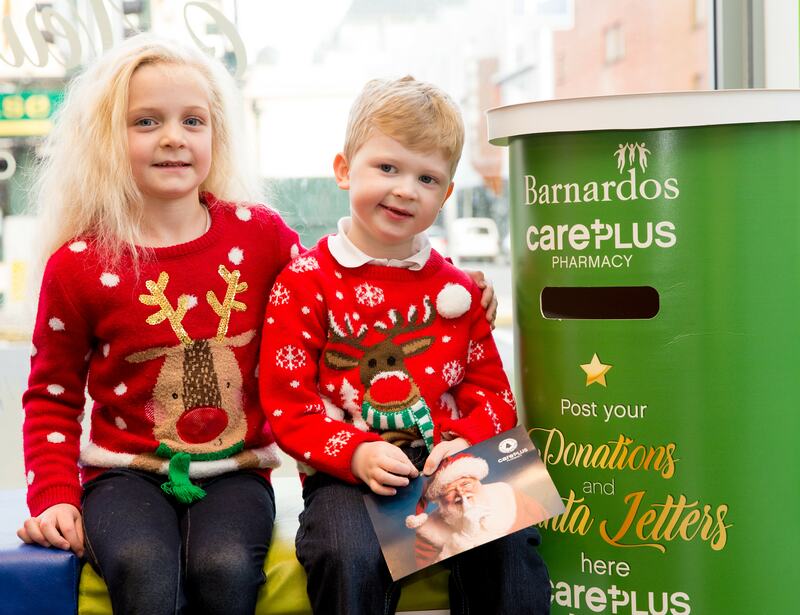 There will be postcards addressed to Santa provided in store so children can write their Santa letters and pop them in the post box, getting a “I am on Santa’s good list” sticker in return. On the 14 December we will host an official Barnardos day across the CarePlus Pharmacy group, celebrating our partnership with the charity. 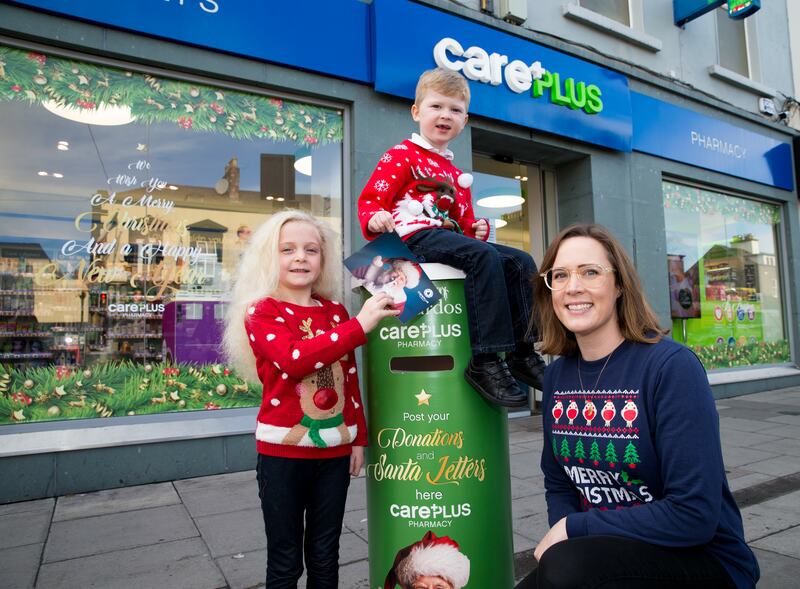 On this day, fundraising events will be hosted by each of our 50 CarePlus Pharmacies so they can each play a part in raising the €25,000. We ask all of our lovely customers to dig deep for this important cause. With your help we can improve the wellbeing of vulnerable children and ensure that they have the greatest chance at a better future.